Employment Visa Archives - Hacking Law Practice, LLC. Does paying for premium processing on an H1B case mean I will find out sooner if our case was selected in the lottery? Premium processing is an add-on service that USCIS offers for a variety of immigration cases, primarily in the employment-based visa categories. Premium processing costs an additional $1225 in USCIS filing fees. USCIS promises to adjudicate premium processing cases in 15 calendar days of the receipt date, unless they issue a request for additional evidence. The clock stops while the request for evidence is pending. We often recommend that our clients pay the extra money for premium processing. This allows for a higher quality of scrutiny from more seasoned immigration officers and results in a faster answer. The one thing it does not do is guarantee a faster answer on the question of whether an H1B case made it through the visa lottery. In 2015, USCIS received 223,000 applications for 85,000 visas. This led to significant delays in the agency opening the packages and selecting the possible visa recipients through a lottery. One of our clients who paid for premium processing recently asked why it was taking so long to hear on their case even though they paid for premium processing. We suspect it is because their case was not selected in the lottery. But we emphasized that getting selected is not dependent on premium processing and that paying the extra fee does not necessarily mean that you find out the lottery results any more quickly than everyone else. What should I do if I am applying for an employment visa, but my academic records are from overseas? To qualify for an H1-B visa, an employer petitioner must establish that the beneficiary of the visa has earned either a U.S. bachelor’s degree or its equivalent. If the beneficiary does not have a U.S. degree, a credentials evaluation can show the United States Citizenship and Immigration Services (USCIS), the agency that adjudicates the beneficiary’s application, that the beneficiary’s foreign education and experience meets this requirement. Certain companies specialize in providing these evaluation services. These companies evaluate foreign degrees, transcripts, and work experience, and convert the information into its U.S. equivalency. USCIS will only accept a credentials evaluation from a service that specializes in assessing foreign credentials and experience. A credentials evaluation is not always required by USCIS, but it is highly recommended. Without a credentials evaluation, USCIS will independently evaluate a beneficiary’s records. If the agency does not believe the requirements have been met, it will either request additional evidence to show that the beneficiary has the equivalency of a U.S. bachelor’s degree, or deny the application. A credentials evaluation not only determines whether a beneficiary qualifies before USCIS adjudicates the application, but the company providing the service will usually cooperate with USCIS in the event the agency disagrees with any part of its assessment or requires more information to reach a decision. Credentials evaluations can consist of more than just degrees and transcripts. In some cases, work experience can satisfy all or part of the U.S. bachelor’s degree requirement. Generally, three years of work experience is the equivalent of one year of U.S. education at the bachelor’s level, and five years of work experience is the equivalent of one year of U.S. education at the master’s level. A credentials evaluating service will charge different rates depending on the type of evaluation required and the occupation of the beneficiary. What is the H-1B Cap Filing Season & Why is it Important? Congress limits the number of employment based, H-1B visas to roughly 65,000 every fiscal year. The H-1B visa is the most popular type of employment visas for important foreign national employees and is available for a varitey of professions including computer science, accounting, teaching, engineering and biology. The fiscal year begins October 1 of each year. When an employee obtains an H-1B visa, that visa runs from October 1 through three years to the September 30th of that third year. USCIS allows employers to file for H-1B visas six months early. This means that the filing season starts on April 1 for people seeking employment visas for the following October. If by April 5th of the filing season, USCIS receives more H-1B visa applications than the number alloted by Congress, an H-1B lottery is held and some cases are rejected for filing when they are not selected in the lottery. The obvious importance of this is the fact that an employer is almost guaranteed to not obtain an H-1B visa if they fail to file the application by the April 1st deadline. Because there are several logistical steps that must be completed prior to filing the actual H-1B visa, an employer cannot wait until mid-March to begin working on the application. This is what gives rise to the H-1B cap filing season. 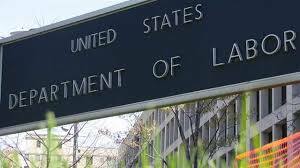 Business immigration lawyers are busy during the spring time of the year as they first must obtain a Labor Condition Application on file with the Department of Labor. This takes a bit of time and work on the immigration practitioner’s part. Job postings must be present at company work sites for ten days. This is why a smart employer starts on the process early. If you have questions about the H-1B process, give us a call at (314) 961-8200 or email us at jwhitlock@hackinglawpractice.com. Congress has capped (or limited) the number of available H1B employment visas to 65,000 per year. Of these 65,000, up to 6,800 are set aside for workers from Chile and/or Singapore. The H1B season begins April 1st every year. Some H1B petitions are exempt from the cap because the worker has an advanced degree. A cap exemption exists to the first 20,000 petitions filed for a beneficiary who holds a U.S. master’s degree or higher. Petitions for new H1B employment at institutions of higher learning or related nonprofit/governmental organizations are also cap-exempt, that is, they don’t count towards the 65,000 cutoff. Finally, petitions filed on behalf of current H1B workers that have already been counted against the cap do not count towards the 65,000. If USCIS receives more than 65,000 cap-subject petitions on or around April 1st, a visa lottery is conducted. This means that even if you file everything correctly for your foreign-born worker, an H1B visa may be unavailable. Can H1b visa holder have second job as an independent contractor? The short answer is that a foreign worker can work two jobs in the U.S. These can be 2 full time jobs, 1 full and 1 part time job or 1 full time job with an independent contractor job on the side. But the foreign worker would have to be sponsored for an H1b visa by each employer or company. Two separate job positions means that two separate H1b visa applications must be filed. Simply calling the second position an “independent contractor” position does not change the analysis. A second H1b visa is still required.